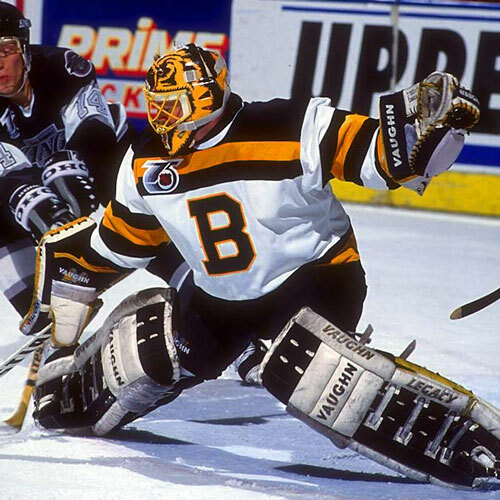 There were a lot of questions about how much of an impact Danny Gare would have in the NHL, but during a stellar 13-year career, he answered them all. Born in Nelson, British Columbia on May 14, 1954, Danny Gare was determined to make it to the NHL. 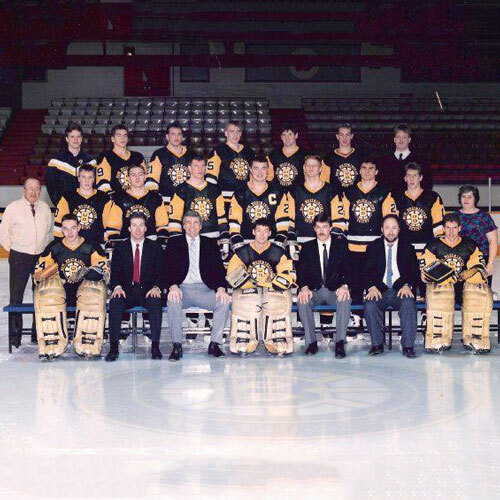 After playing his minor hockey in his home town, Gare headed east over the Rockies for a three-year stint with the Western Hockey League’s Calgary Centennials. In 186 games of junior, Gare had 123 goals and 242 total points, including a sparkling 68-goal, 127-point performance in his final year. 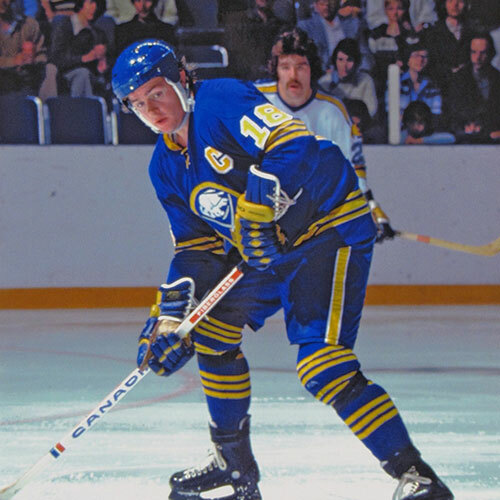 Gare’s numbers in junior caught the eye of the Buffalo Sabres’ scouting staff, and the Sabres made him their second pick – 29th overall – in the 1974 NHL Entry Draft. 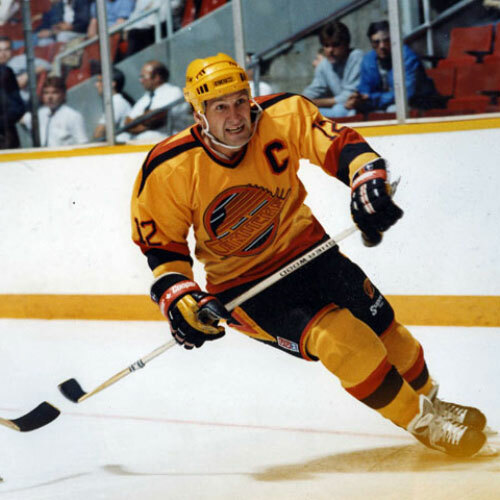 There were a couple of questions that the so-called hockey experts had about Gare before he made his debut in the NHL: was he tough enough, and could he score at the NHL level. It didn’t take him long to answer both questions. Just 40 seconds into his first exhibition game with the Sabres, Gare tangled with legendary tough guy Dave Schultz. Then, just 18 seconds into his first regular season game with Buffalo, Gare scored his first NHL goal on his first shot on goal. Any questions appeared to be answered. Despite playing the shadow of Buffalo’s famous French Connection line of Gilbert Perreault, Richard Martin and Rene Robert, Danny Gare went on to score 31 goals in his rookie season, and received serious consideration for the NHL’s Calder Trophy, which is awarded to the league top freshman. Proving that the first year was no fluke, Gare pocketed 50 goals and 73 points in his second season. A back injury limited Gare’s production for the next few seasons, but he came back with his best season ever in 1979/80, leading the league in goals with 56 and earning a spot on the NHL’s second all star team, along side Edmonton Oilers’ rookie Wayne Gretzky. Gare made headlines again in 1981, when he was one of the key players in a blockbuster trade between the Sabres and the Detroit Red Wings. Gare played the next four seasons with the Red Wings, before signing a free agent contract with the Edmonton Oilers in September of 1986. Now in the twilight of a brilliant career, Gare appeared in just 18 games for the Oilers, before announcing his retirement in March of 1987. Today, he is still involved with the NHL and still with the Sabres, as part of the club’s broadcast team. In total, Danny Gare appeared in 891 NHL games with Sabres, Red Wings and Oilers, scoring 379 goals and adding 352 assists for 731 points. He also picked up 1470 minutes in penalties. Danny Gare’s father Ernie Gare Senior is also a member of the B.C. Hockey Hall of Fame, having been inducted in 1998.